We are proud to partner with Survalent to provide our clients with advanced distribution management systems (ADMS). Survalent is a world-leading provider of ADMS, with over 600 utilities in 30 countries relying on the SurvalentONE platform. Our depth of knowledge and experience with Survalent ADMS allows us to provide our customers with fit for purpose solutions that deliver results. In addition, our New Zealand based team offers fast and efficient engineering and support services. The SurvalentONE SCADA system is a software automation solution that provides real-time supervisory control and data acquisition for utilities. Designed to meet the functional, performance, availability, and expandability requirements of electric, water, and gas utilities, the system is based on a distributed client/server architecture designed to internationally recognized standards in all areas of interconnectivity. SurvalentONE OMS is a comprehensive solution that empowers utilities to reduce the scale and duration of outages through efficient tracking and management. 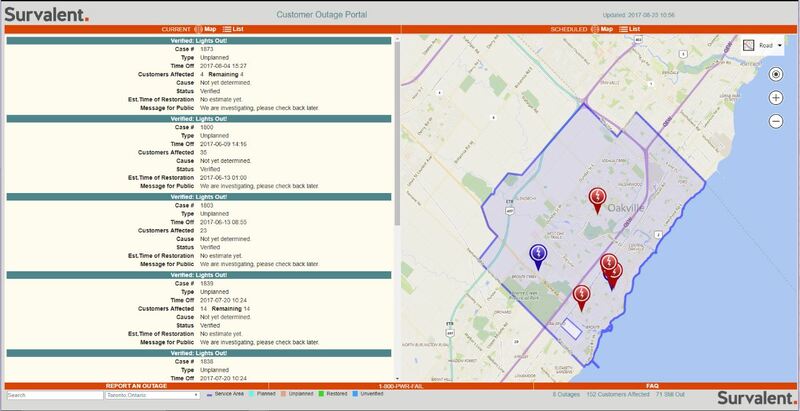 It provides predictive outage analysis to help isolate the extent of the outage and probable fault location, automated reporting capabilities, and enhanced customer communications capabilities to provide up-to-date outage information to all stakeholders. Moreover, SurvalentONE OMS allows you to proactively and safely guide dispatchers and field crews when they are conducting restoration activities. SurvalentONE DMS is a collection of integrated, feature-rich distribution management system applications that enable you to implement smart grid technology at your own pace to increase the reliability and efficiency of your network. With SurvalentONE DMS, utilities can analyze and optimize critical grid functions, automate processes for significant efficiency gains, improve demand response capabilities, achieve substantial peak reductions, and accurately predict network conditions via a single, intuitive user interface. Survalent’s FLISR solution is based on a sophisticated fault location algorithm that uses telemetry from field devices, in tandem with the SurvalentONE ADMS network model, to rapidly identify faults, isolate them, and then automatically resupply as many customers as possible. With SurvalentONE FLISR in the control room, utilities can turn sustained outages into momentary events resulting in greater network reliability, lower CMI, and increased customer satisfaction. We'd love to learn more about your business and discuss your ADMS needs.